Know what are health benefits and medicinal uses of Backuchi in Ayurveda. Learn some remedies of Backuchi to treat your health problems. 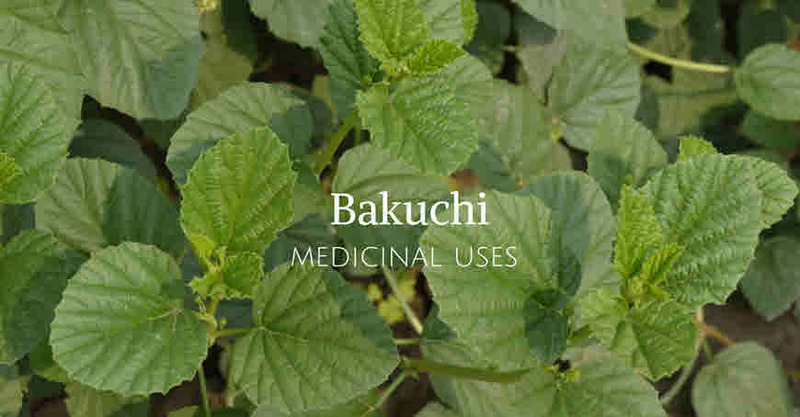 Backuchi or Psoralea corylifolia is medicinal herb which is found throughout India. In Ayurveda Bavachi is used in formulation of various oral medicines and oils for the skin problems. The seeds of this medicinal herb constitute the drug. In its seeds an essential oil is present which is very good for treating skin problems. It is used internally as well as externally. For its external application it can be mixed in some base oil. For taking it internally only purified Psoralea seeds must be used. For this purpose seeds are treated with desi cow urine (Gau mutra). Psoralea seeds (100 gm) are soaked in half liter of Gau mutra for three days. Then Gou mutra is changed and again seeds are soaked for three more days. This has to be done for eight to ten times. Then dry these seeds in shade and grind to make powder. For internal use only purified Psoralea seed powder should be used. Also this medicinal herb should always be taken in recommended doses. Mix Psoralea seeds powder (250 mg), ginger juice and honey to get relief in respiratory problems and asthma. Mix Psoralea seeds powder (250 mg) and Punarnava root juice (10 ml) and drink. Do not take more than recommended dose as overdose causes nausea and vomiting. Mix purified Psoralea seed powder one gram (cow urine treated seeds), amla powder and giloy satva and take with water. Mix Psoralea seed powder with coconut oil, kapur and apply externally on the affected area. Mix Psoralea seed powder with ginger juice and apply on the affected area. Grind purified Psoralea seeds (100 gms) and black sesame (400 gm) to make powder. Take twice a day. This can be taken by person who is genetically prone to leucoderma.